But to me, the most exciting item of recent astronomy news is last week's announcement. Astronomers have long been puzzled by the origin of the highest-energy cosmic rays. And now, it seems, that after decades of uncertainty, we have a partial answer. Incidentally, the astronomical instrument (not an optical telescope) involved in this discovery was also located in Argentina. The measurements revealed that the arrival rate of ultra-high-energy cosmic rays is about 6% greater in one half of the sky. What is more, the excess lies about 120° away from the centre of the Milky Way – suggesting extra-galactic origins. 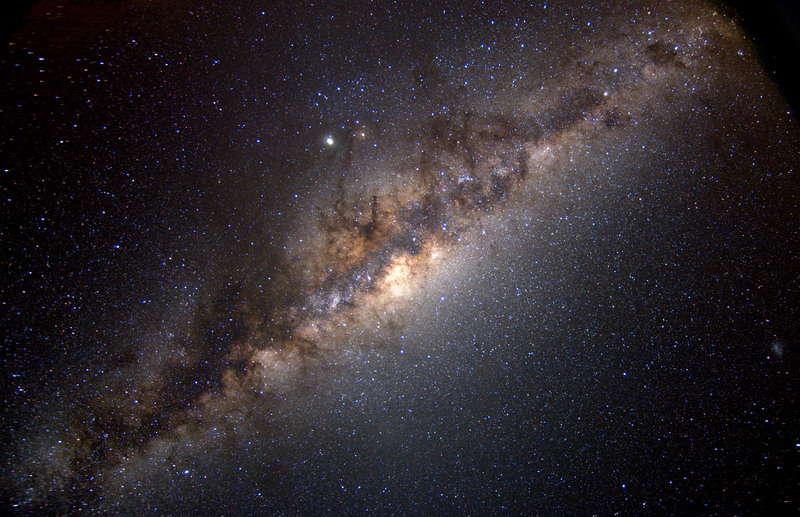 After correcting its data for the expected bending of these cosmic rays by the magnetic fields of the Milky Way, the team says that the particles appear to be coming from directions in space that have a high density of nearby galaxies.